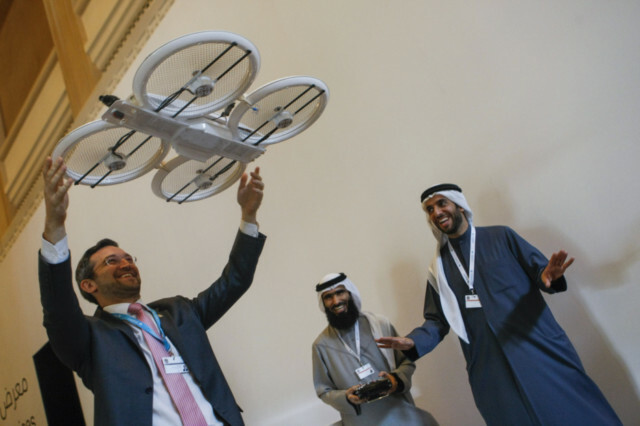 Dubai: Thirty-nine contestants have made it to the semi-finals of the national, international and government levels at the UAE Drones for Good Award, announced the organising committee spokesman for the contest. The entrants offer innovative solutions in the provision of services that benefit humanity, especially in areas such as disaster relief, public health, agriculture, environment, town planning, and logistics. The successful entries to the semi-final stage have come from countries ranging from the UAE, Saudi Arabia, Kenya and Sudan to Australia, Germany, Canada, the US, UK, Spain, New Zealand, Poland, Switzerland, and Singapore. Among the semi-finalists, Tays Ferrer Gomez and her team from Spain have designed a drone that can transport organs for transplant from donor centres to the receiver efficiently and in short periods of time, thus keeping the organ alive and reducing chances of rejection. Marc Beltran from Spain has submitted a project that makes landmine detection not only efficient but also safe. “All the logistics process involving the donation and transplantation is remodelled; coordinating the communication between hospitals and creating a digital database to collect and organise all the data, streamlining the process and reducing costs and possible document losses. Our project would go a step further in the medical system, saving more lives,” said Tays. Tomasz Marek Muszynski from Poland has combined observation, communication and rescue capabilities in one system to develop a drone that can detect drowning people, ensure their safety through wireless audio-video transmission system, and even help tow them to the coast at a speed controlled by a lifeguard. Clinton Burchat from Australia has come up with a project that eliminates the need for a large yard for drones to make package deliveries. “Current drone delivery methods require you to have a large yard. The delivery is usually done either by landing the drone in your yard or by dropping the package down on a string. Both these solutions pose danger to the recipient, including people, pets and children. The idea of my proposal is to not only to make drone delivery accurate by the millimetre but also to make it safer at the same time,” said Clinton. Florian Seibel and his team’s Quantum project combines the advantages of a helicopter with that of a fixed-wing plane to create a drone that can fly longer, further and safer. According to Florian, due to its high payload capacity and the ability to travel more than 500km, the Quantum drone can be deployed in a number of areas such as agriculture, humanitarian aid, disaster relief and logistic purposes. A team from Singapore has submitted a project to develop an unmanned aerial vehicle (UAV) with a “built-in fail-safe” and “sense-and-avoid” functions, making it capable of delivering cargos efficiently and safely. Mouza Ahmad Al Shemaili and his team, also from the UAE, have developed a multi-copter brand, Ultimate-UAV, which eliminates fog from the atmosphere in an eco-friendly way. “Our aim is to help drivers by reducing the dangers from low visibility on roads during foggy weather. In addition, the project will support civil aviation by helping avoid airport closures and flight delays, or flight manoeuvre above airports, which increases pollution,” said Mouza. Marco Urs Wuethrich from New Zealand has devised a drone that is capable of providing aerial support to coastguard rescue vessels searching for people or boats in distress situations. The Flyability team from Switzerland has developed Gimball, a drone that can enter confined spaces and fly safely close to humans, proving to be very effective in rescue missions. “Our game-changing drone is capable of colliding with obstacles without losing its stability and, is protected by a rotating cage around, making it possible to fly very close to humans,” said Patrick Thevoz, one of the members of the Flayability team. Alex Ramirez-Serrano from Canada has come up with a highly manoeuverable UAV that can help locate and rescue persons from buildings on fire, collapsed building, mines, or other urban and industrial entrapments.